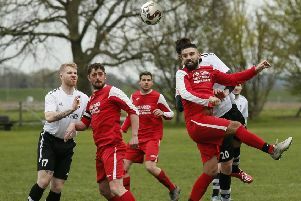 Ampthill Town may have been relegated from the SML Premier Division last season but they topped the table in discipline for the campaign. At Saturday’s league AGM they collected a Special Award from the SML for their ‘excellent record’ in the Respect campaign, based on disciplinary records. They won a cup and a cheque for £250 from the Respect . Town’s AGM is at the clubhouse on Tuesday July 7 at 8pm and all are welcome. Their pre season training sessions began tonight and continue every Saturday Tuesday and Thursday at Abbey Lane off Oliver Street. Ampthill’s first two pre season games are at home to Potters Bar on Saturday,July 18 and Cogenhoe on Saturday, July 25. They then have away games at Newport Pagnell on July 28, Eynesbury on August 1 and Olney Town on August 4. Ampthill host Tring Corinthians in the first round of the Challenge Trophy and go to Brimsdown Rovers in the Division 1 cup.